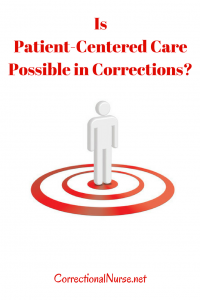 Is Patient-Centered Care Possible in Corrections? The concept of patient-centered care was originally described in the Institute of Medicine (IOM) report on health care quality Crossing the Quality Chasm as “providing care that is respective of and responsive to individual patient preferences, needs, and values and ensuring that patient values guide all clinical decisions”. This is a difficult proposition in a secure environment where health care is not a primary goal, and is predominantly provider-centered and episodic in nature. Correctional patients are generally not trusted to be a part of the healthcare team — and certainly not the center of it. Yet the principles of patient-centered care, when applied in this setting, have opportunity to greatly decrease clinical error and increase compliance with the treatment plan. Many traditional settings have expanded patient-centered care to be family-centered care, involving the values and concerns of family members in care decisions. This is particularly helpful in maternal-child health issues. Family involvement is difficult in the correctional setting because the security perimeter does not allow for direct contact and because many patients have estranged families. Family members may be separated by great distances in the case of federal and state prison systems or those housed in different states in rental beds. The Institute for Patient- and Family-Centered Care’s four core concepts of patient-centered practice provide a framework to discuss applying patient-centered care principles in the correctional setting (Table below). 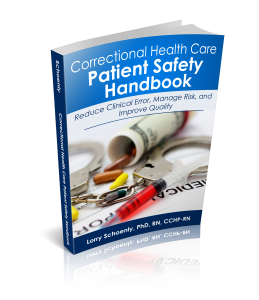 Although the limiting nature of the patient relationship in corrections prohibits full implementation, practical application of much of patient-centered care concepts is indeed possible and advantageous to patient safety and risk reduction. Patient-centered care values the patient’s and family’s perspective on healthcare provision. It can be difficult to get to the root cause of a clinical presentation. The patient’s understanding of importance and past experiences in the health care system often influence the description of symptoms. The incarcerated patient can also bring maladaptive communication patterns and value manipulation over honest discussion, further clouding communication. Listening to and honoring the patient, at the level of involvement they are capable of, can reveal the true symptoms under investigation and lead to a quicker, more accurate diagnosis. 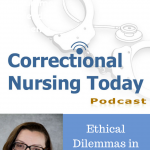 In many aspects of life, inmate-patients have little to no control over the day-to-day decisions that directly affect them. In contrast, a major principle of professional practice is patient autonomy in health care decisions. Fully sharing information about disease process and informed decision-making allow some aspects of self-determination in the healthcare relationship. Full information sharing also assists in patient safety, as an informed patient is more likely to continue in therapy and develop healthy self-care practices. Patient-centered care requires the patient’s active participation in the care program. Information sharing supports patient participation, as does the structure of care delivery. Where possible, have the patient develop self-care skills such as blood glucose readings and blood pressure checks. When security limitations make this impossible, verbally guide the patient through the steps to perform a health care function, and ascertain understanding. This will help with continuation of the program on re-entry. Collaborating over policy, procedure, and design of health care is probably the patient-centered care principle least able to be implemented in a correctional setting. Soliciting patient input into such decisions, however, may have surprising benefits. Some institutions have inmate councils for airing general concerns. These meetings may discuss health care processes to gain insight and support. For example, inmates may have valuable perspectives to share about the sick call process or medication administration in the housing area. If a process is not functioning smoothly, particularly one that requires inmate initiation or action, collaboration with selected inmates may reveal misconceptions and may generate ideas for revisions to improve use and application. Possibly one of the most practical goals of patient-centered care is “providing the right care for the right person at the right time”. By focusing on these “rights,” correctional health care providers center on the patient rather than on the disease, care provider, technology, or organization. This is a helpful goal in an organizational structure such as the criminal justice system, where patient preferences, needs, and values are not a primary concern. 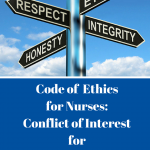 Patient-centered care is the right thing to do on moral and ethical grounds, but it is also the right thing to do from a patient safety perspective. This care model has been shown to improve patient outcomes and reduce care costs. What do you think? 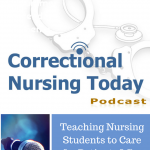 Is patient-centered care possible in corrections? Share your thoughts in the comments section of this post. Information in the post was originally published in the Correctional Health Care Patient Safety Handbook, Chapter 4. Purchase a print or ebook copy from Amazon.